I introduced this Hippo project to my Kindergartners. They loved it! Of course kinder kiddos love just about anything when it comes to creating art and doodling with crafts. 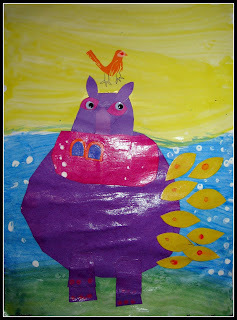 This was our 1st intro to art. Thanks to Pikaland for the idea:). Who knew yellow and blue made green. My Kinders didn't. That alone made their day! 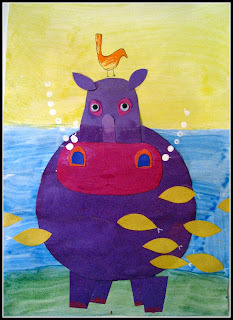 Not knowing what their scissor skills would be, I pre-cut all the small pieces to the Hippo. I then made templates of the hippo body, head and mouth for the kids to trace. Next I had them place the pieces where they would go. Then start gluing. and finished with Mod podge gloss from bottom to top of water line. 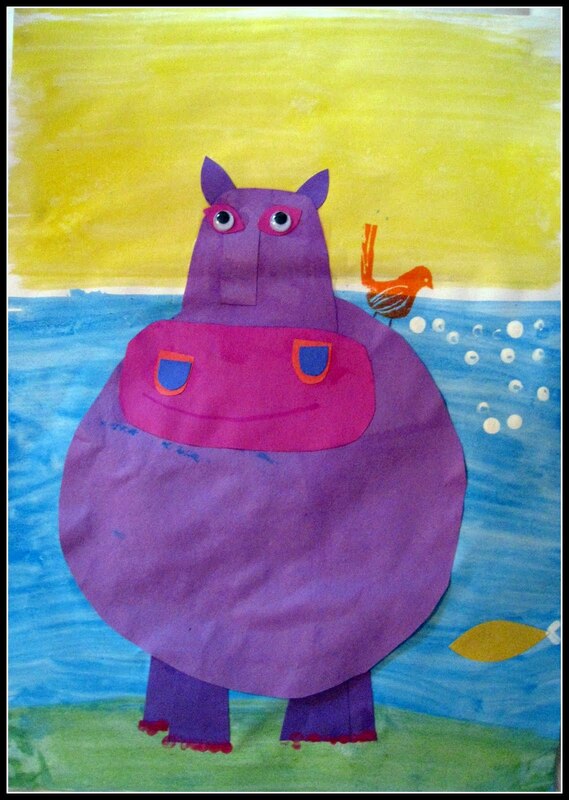 This Hippo above is from a 1st grader. 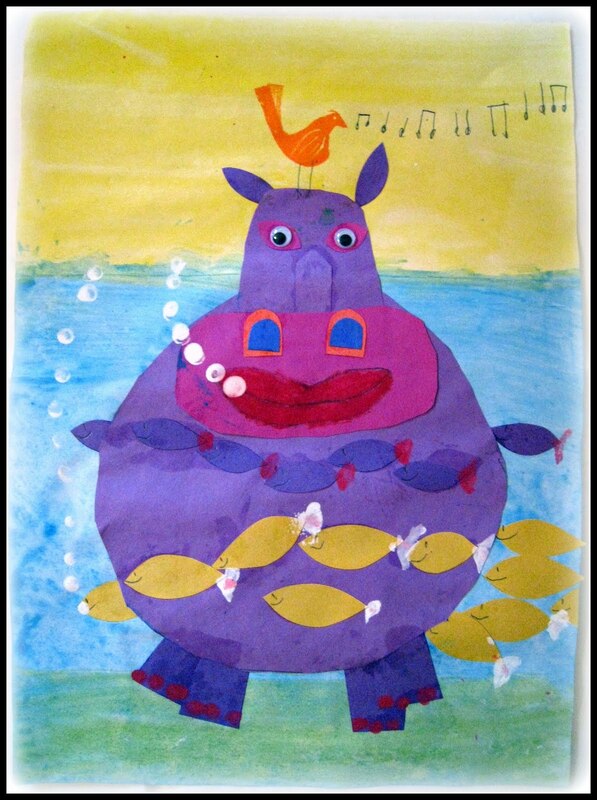 She used her layering and foreground/background skills well. Notice the fish. I love the the music notes! These turned out wonderfully! Love them. Van Gogh's Sunflower by Pre K.